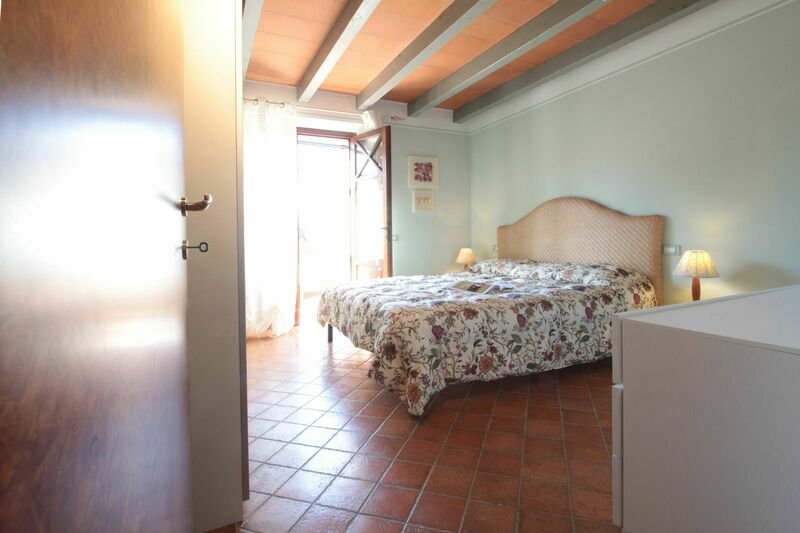 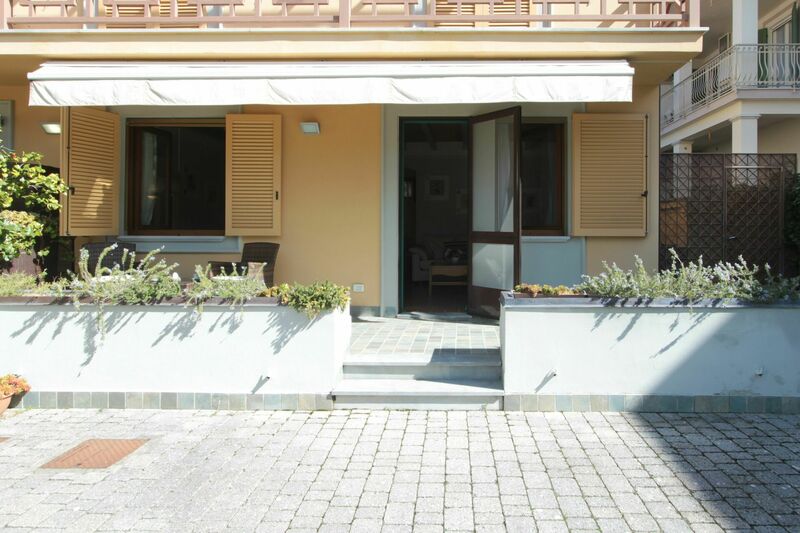 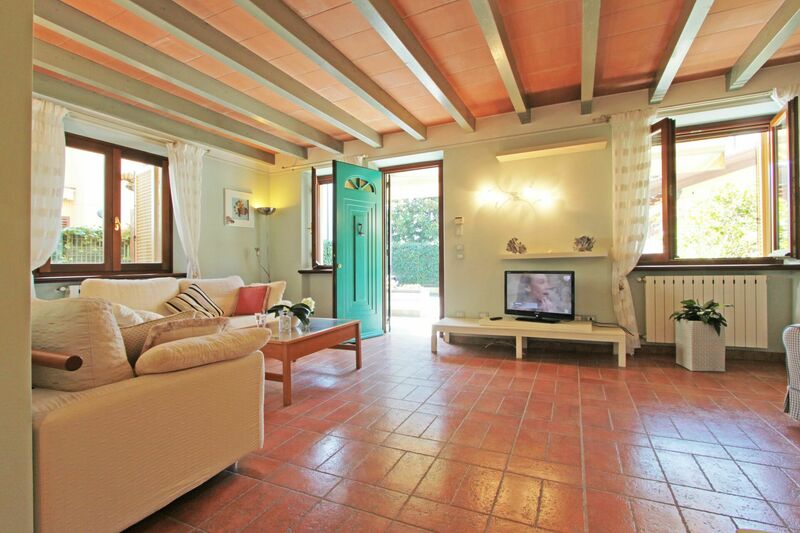 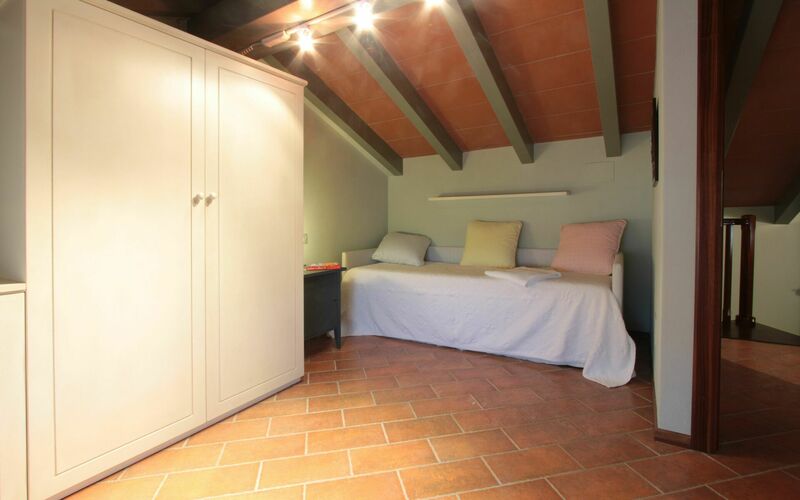 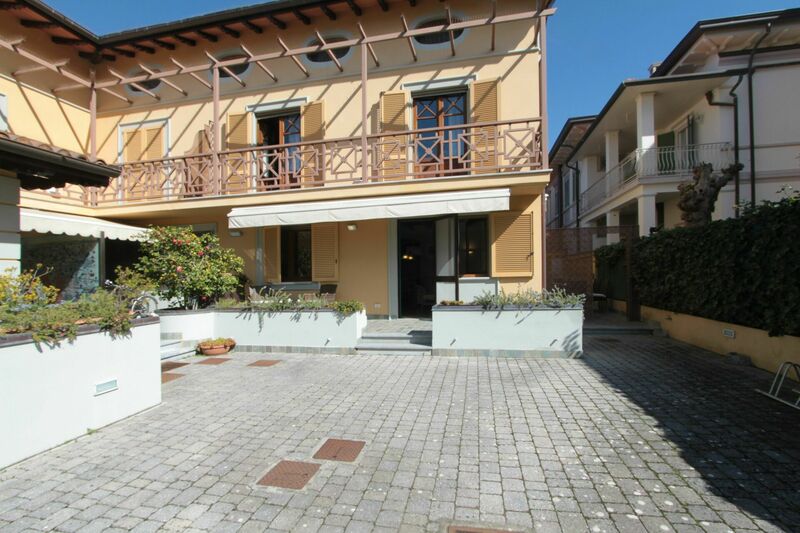 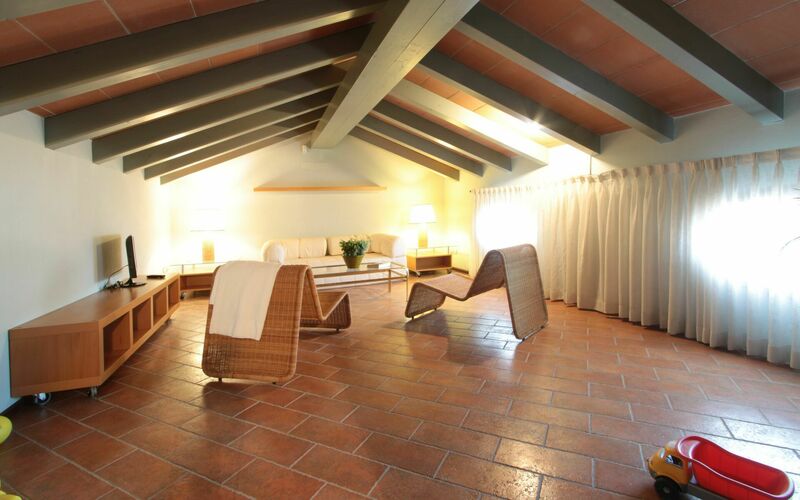 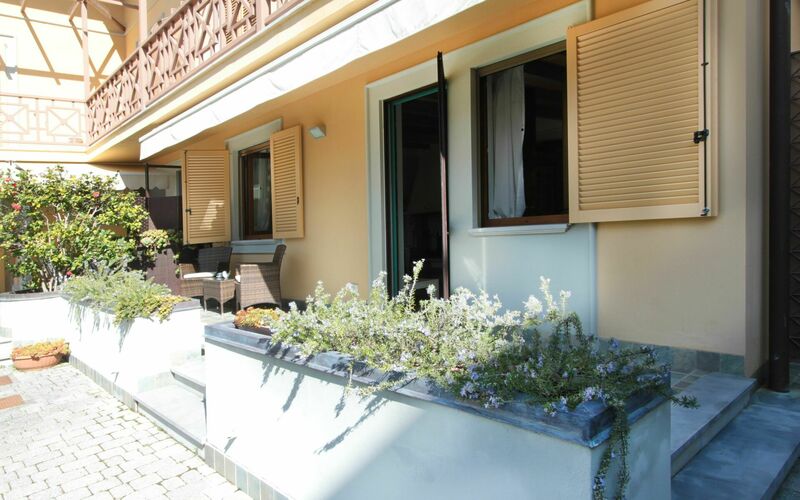 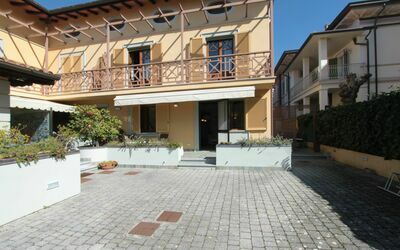 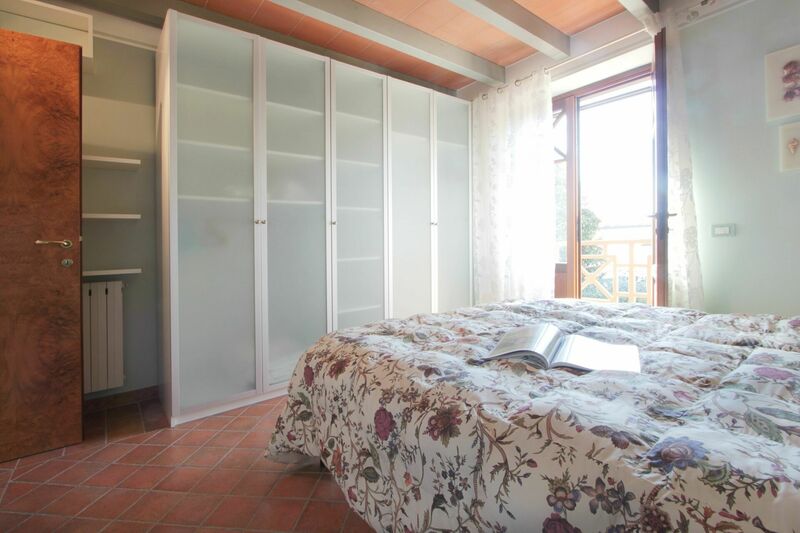 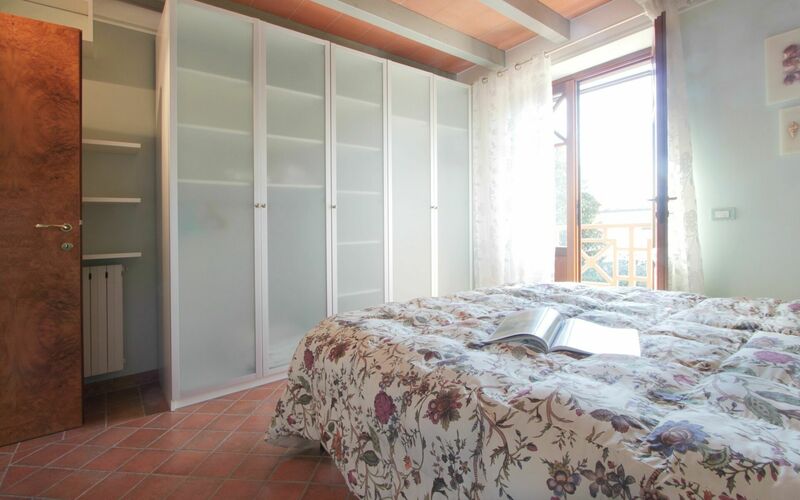 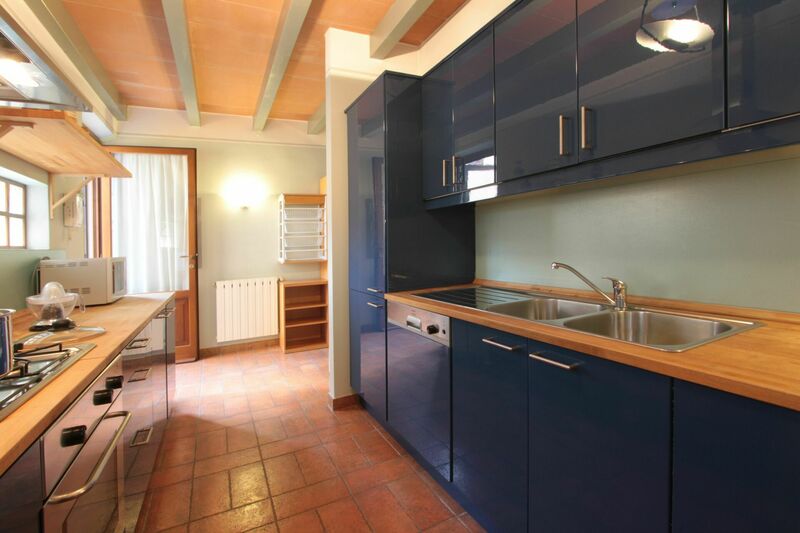 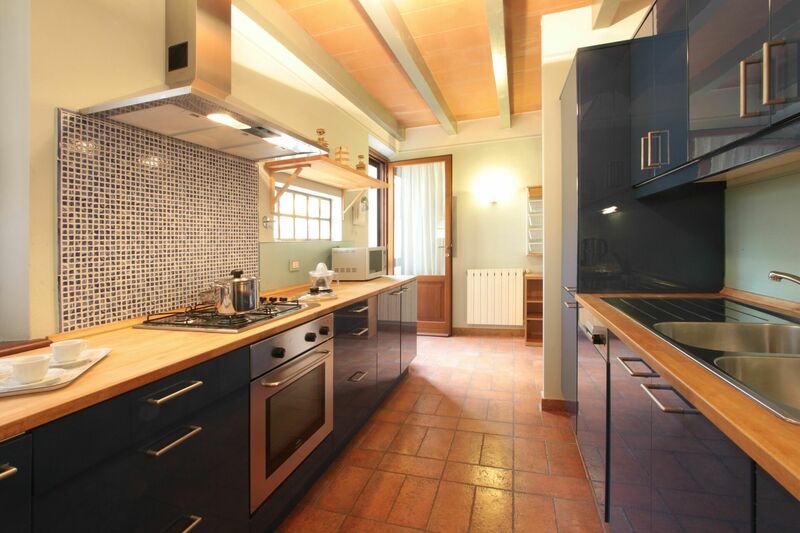 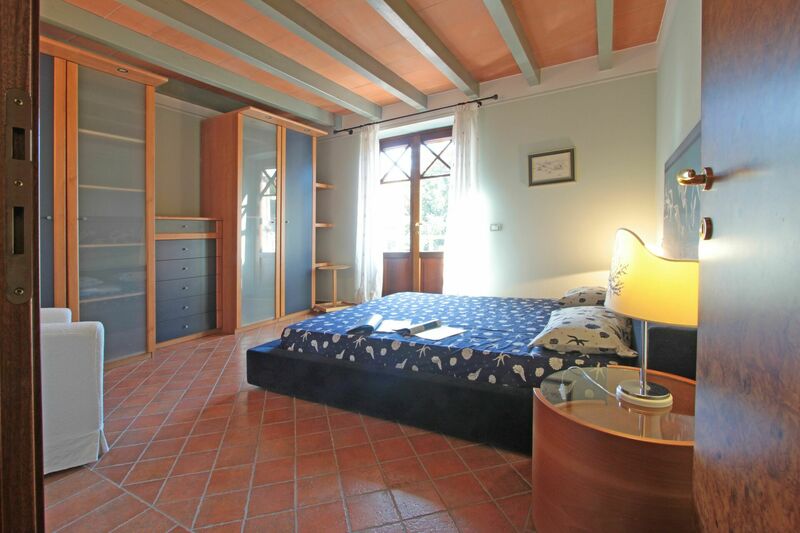 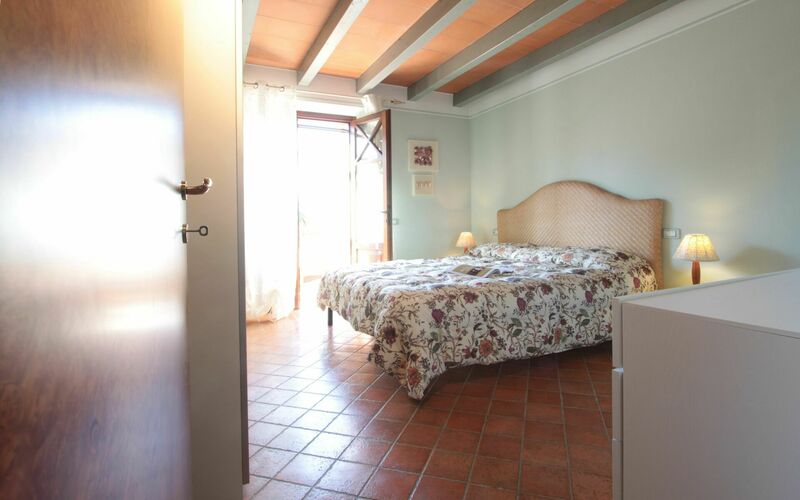 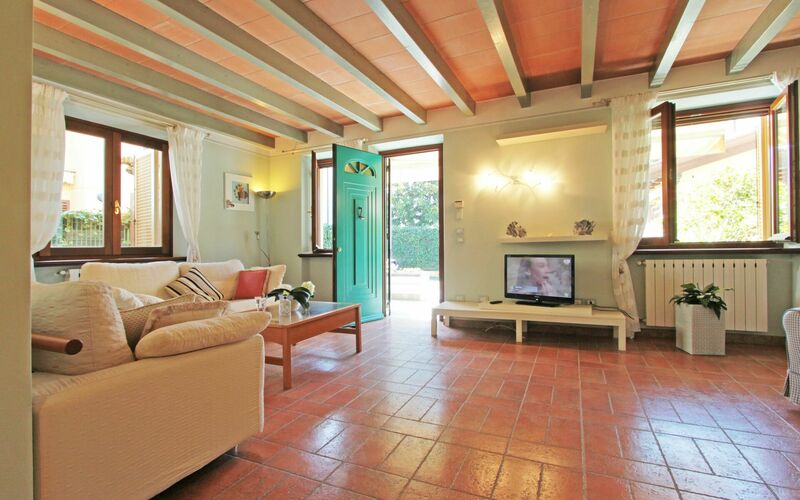 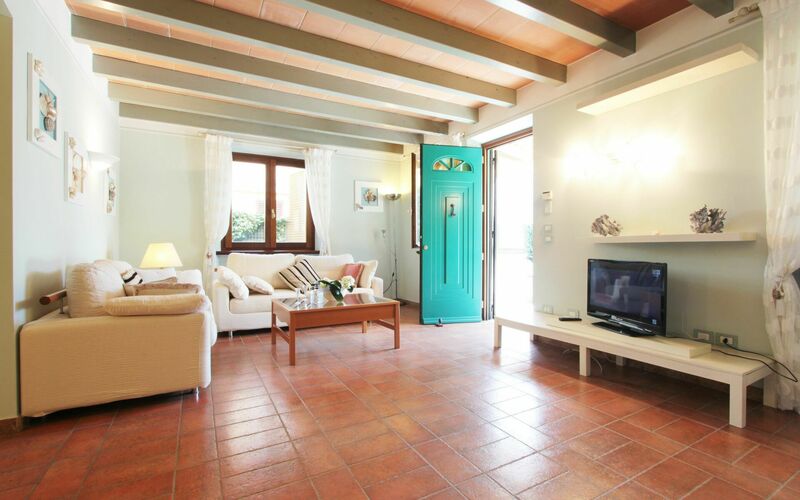 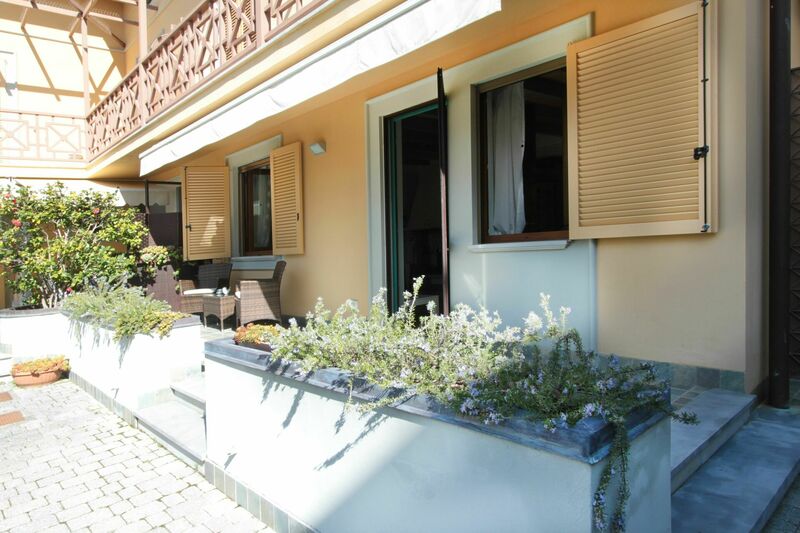 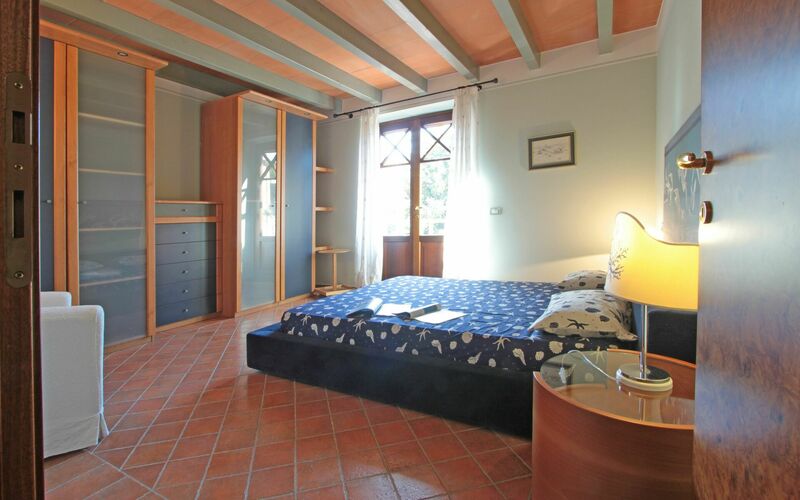 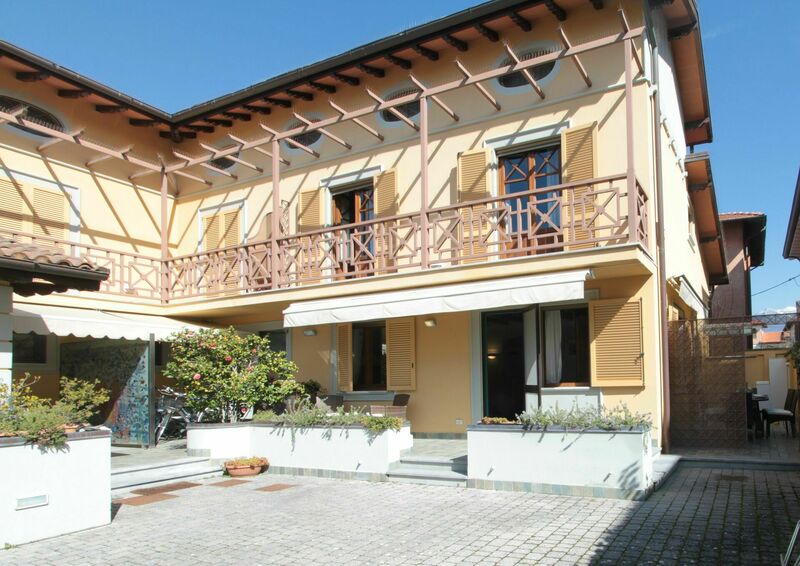 Conveniently located in the centre of Forte Dei Marmi, Italy and only 15 km (9 mi) from Viareggio. 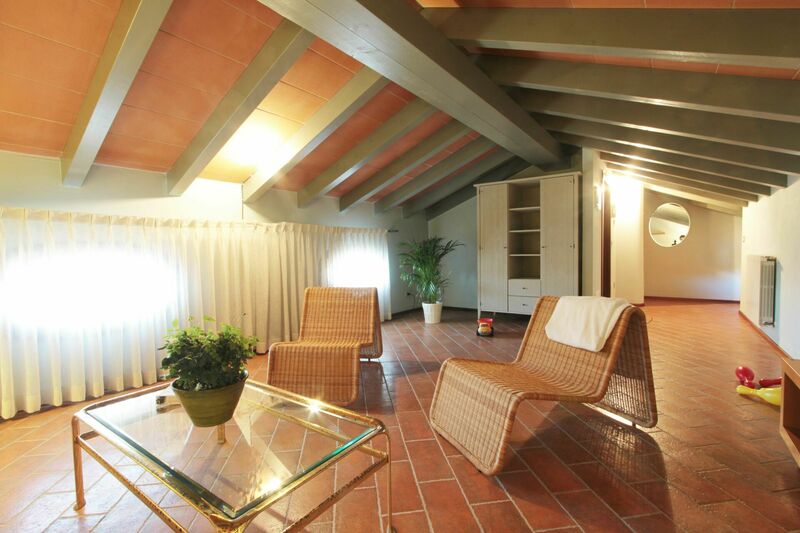 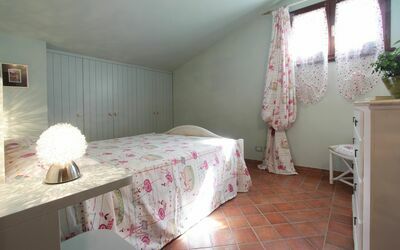 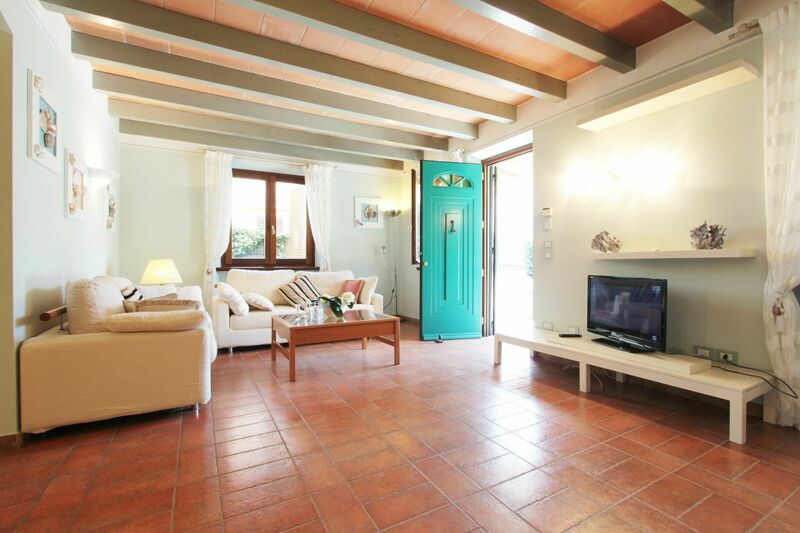 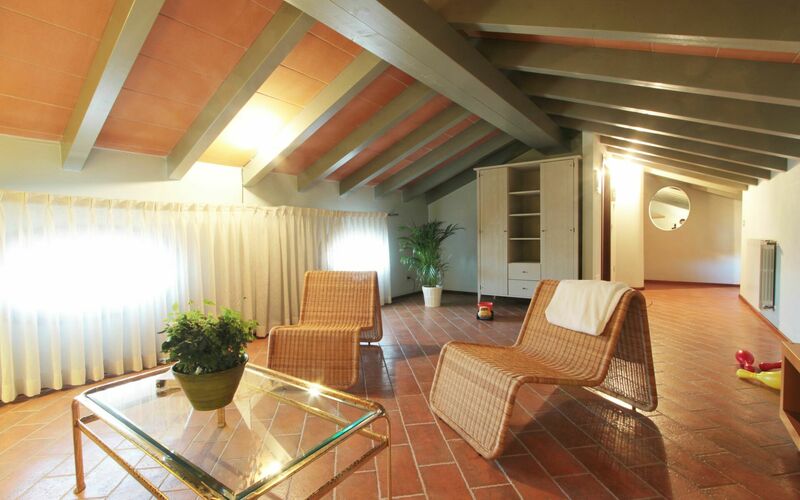 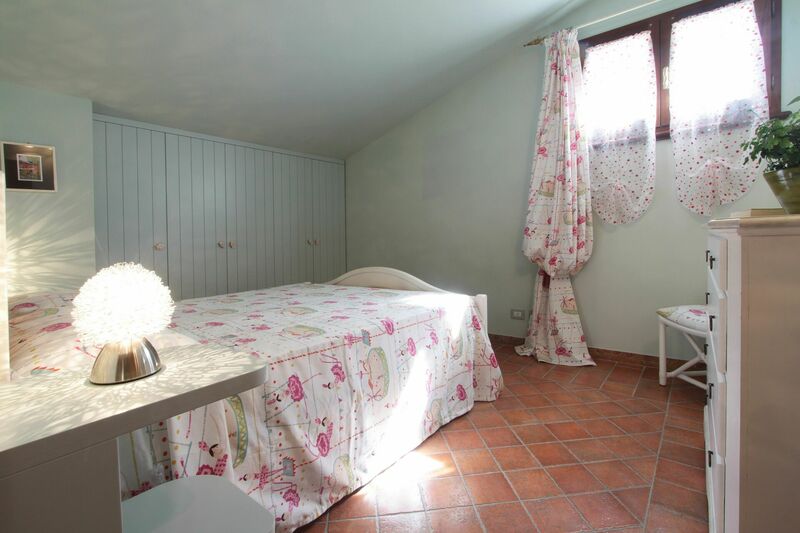 Vacation rental Villa Conchiglia is a beautiful property (150 sq m) that includes WiFi internet and air conditioning. The property can accommodate up to eight guests comfortably in four bedrooms with four bathrooms. Near the property there are local shops where you can find fresh produce and other items. 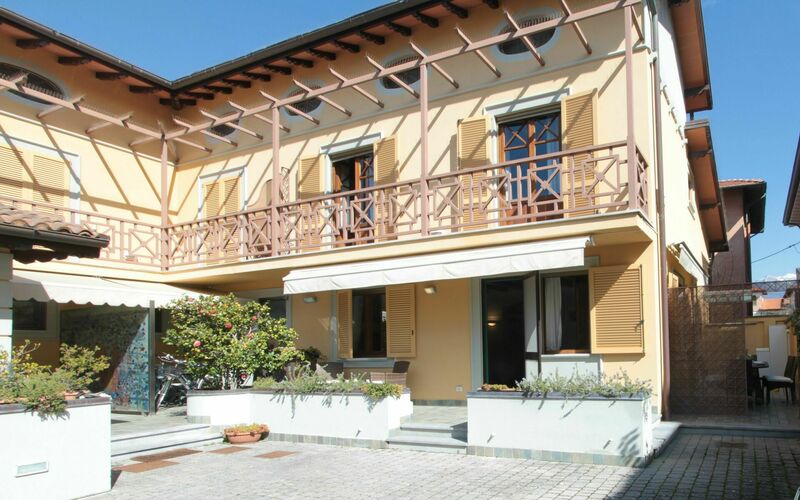 If you can't find what you need locally, there is a shopping center located 8 km (5 mi) from the property where you can purchase your food and essentials. After arriving at Villa Conchiglia you’ll find a nice clean well-maintained property ideal for a peaceful vacation in Tuscany. 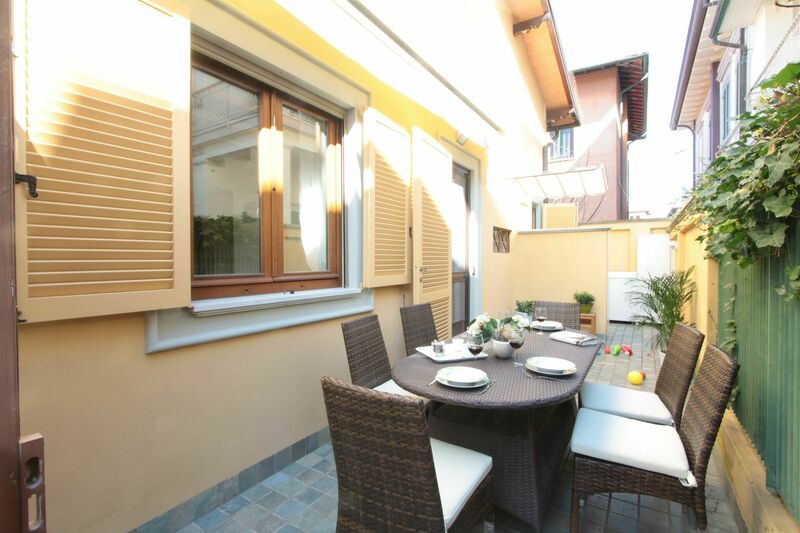 After a hectic day of sightseeing, spend some time with friends and family enjoying a glass of wine - a perfect way to unwind at the end the day. A real time-saver is having a washing machine on the premises that is available for the guests to use. 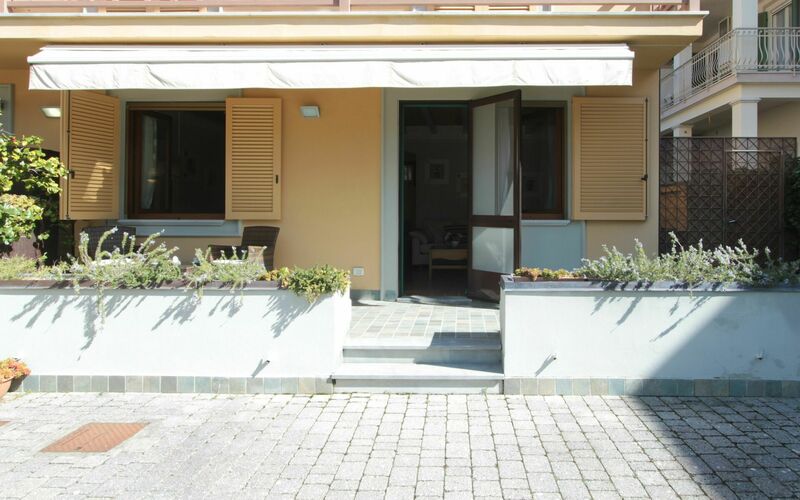 Most people enjoy visiting close-by cities and towns while on holiday, so for your reference this is a list of popular places with driving distances from the property: Viareggio 15 km (9 mi), Lucca 36 km (23 mi), Pisa 46 km (29 mi), La Spezia 48 km (30 mi) and Portovenere 63 km (39 mi). 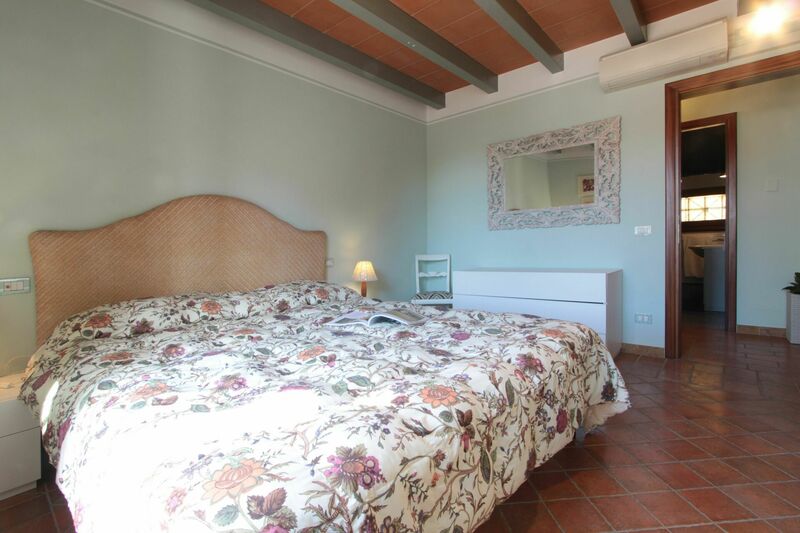 The highway is only 3 km (2 mi) from the villa and there is a train station 3 km (2 mi) away. 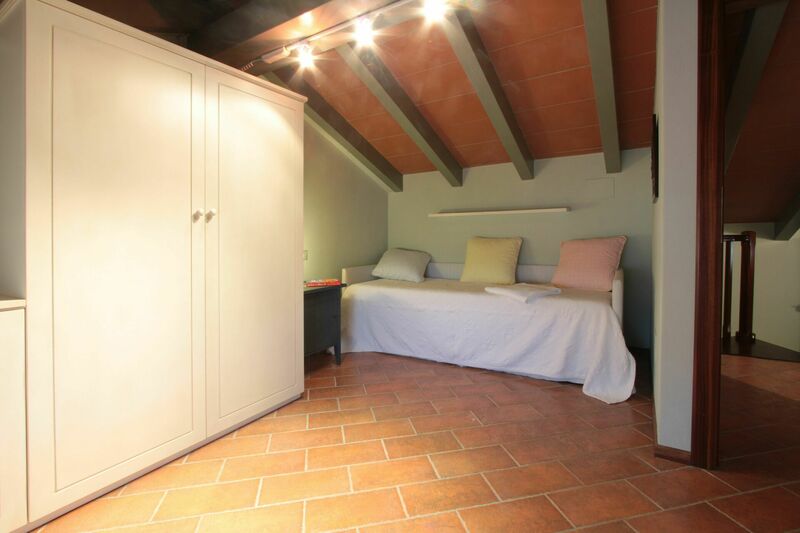 If you'd like to visit the beautiful Tuscan coast, it's just a short driving distance to the sea from the vacation rental, only 170 m (100 ft). Some other major tourist destinations you should consider visiting are: Florence 107 km (66 mi), Viareggio 15 km (9 mi), Rome 389 km (241 mi), Venice 341 km (212 mi), Milan 252 km (157 mi) and Naples 580 km (360 mi). 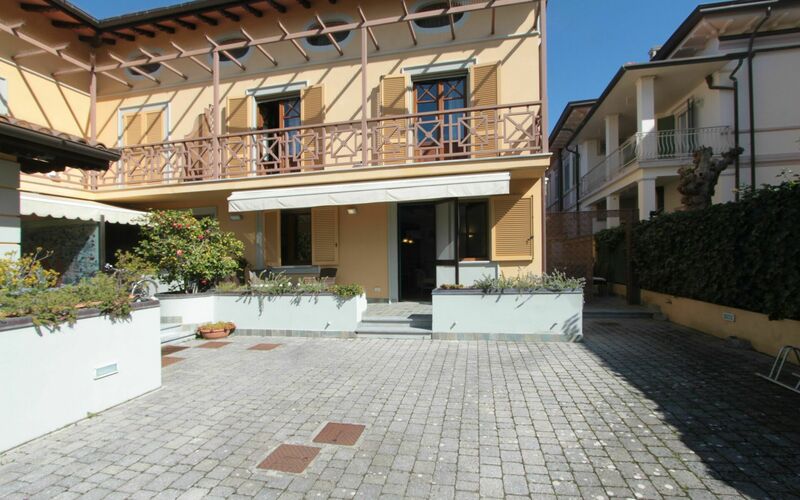 Nearest Airports: Pisa (Psa) 44 km (27 mi), Firenze Peretola (Flr) 105 km (65 mi), Bologna (Blq) 186 km (116 mi), Milano (Lin) 248 km (154 mi) and Bergamo (Bgy) 286 km (177 mi). 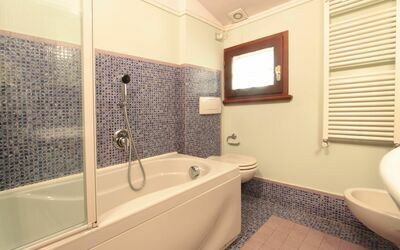 Maid Service - If you'd like maid service during your visit that can be arranged by the owner. Inquire for more details about the extra cost. 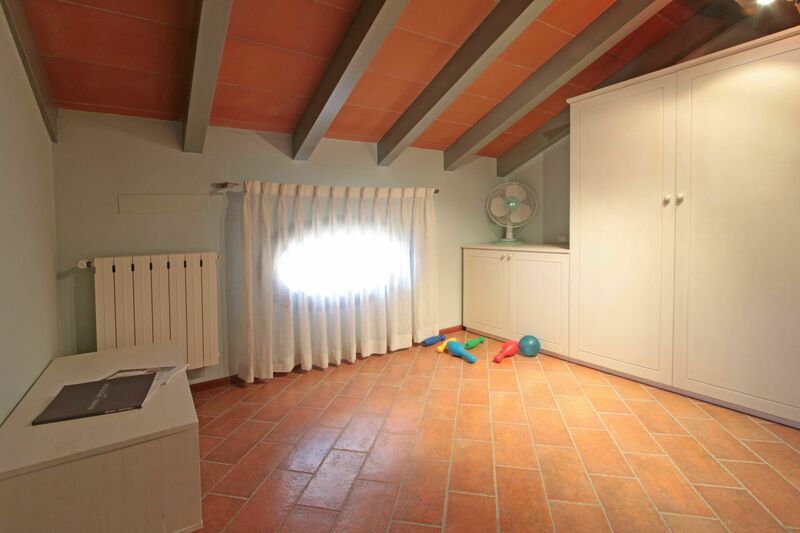 Including: kitchen, living room, dining room, bathroom, closet. Kitchen (10 m2): well equipped kitchen, dishwasher, fridge, freezer, microwave, stove top, oven, toaster, iron, italian coffee machine, washing machine, mosquito net, exit to the patio. 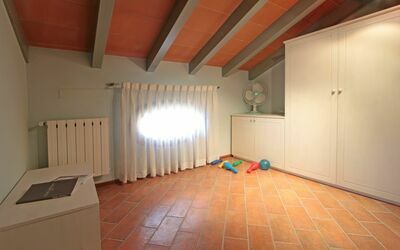 Living room (35 m2): two sofas (people: 3), fireplace, WIFI internet, internet, television, mosquito net, vcr / dvd, exit to the veranda. Dining room (12 m2): dining table (people: 8). 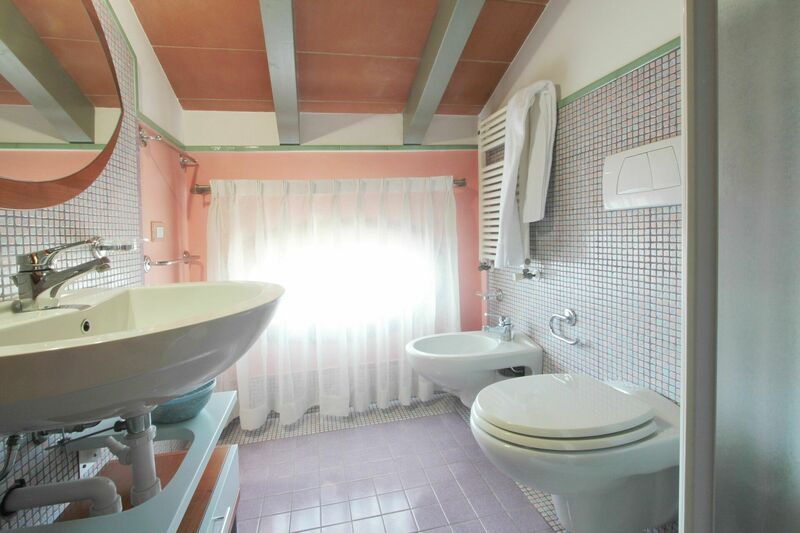 Bathroom (3 m2): basin, basin, toilet, toilet, no window. Including: 3 bedrooms, 2 bathrooms, balcony. Bedroom 1 (20 m2): double bed (width: 1.6m, length: 1.9m), WIFI internet, air conditioning, exit to the balcony. 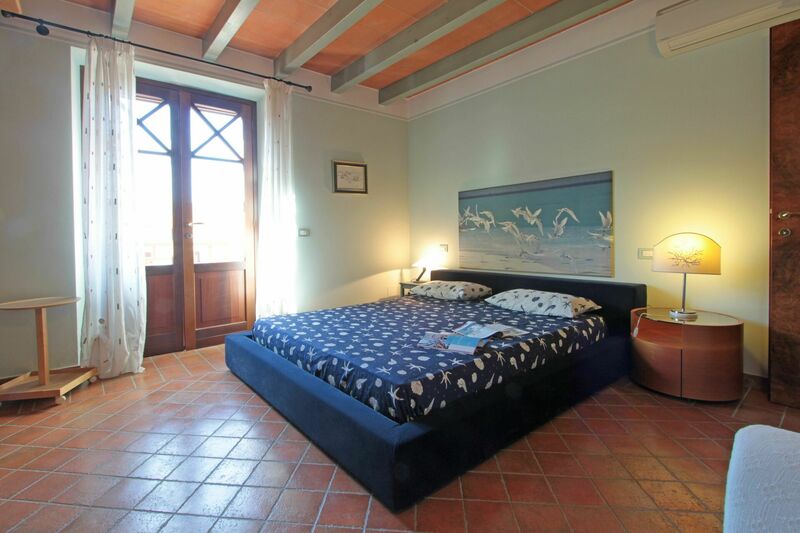 Bedroom 2 (20 m2): double bed (width: 1.6m, length: 1.9m), WIFI internet, air conditioning, exit to the balcony. Bedroom 3 (15 m2): double bed (width: 1.6m, length: 1.9m), air conditioning. 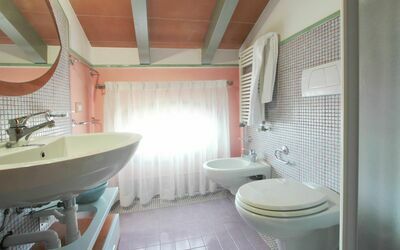 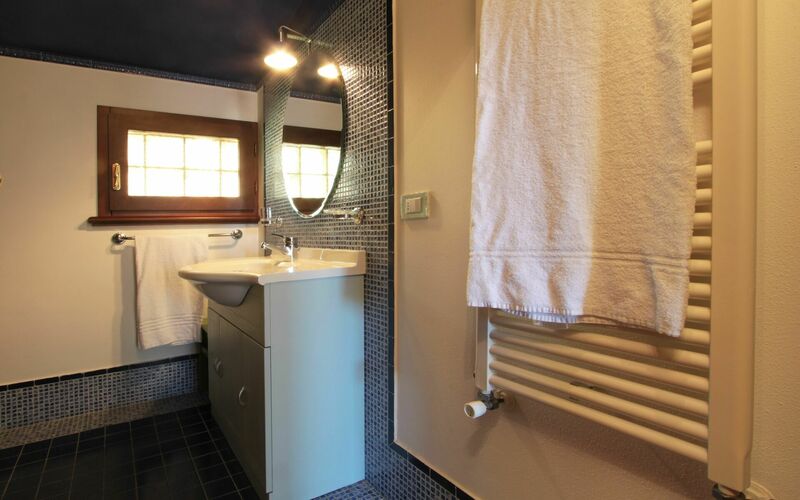 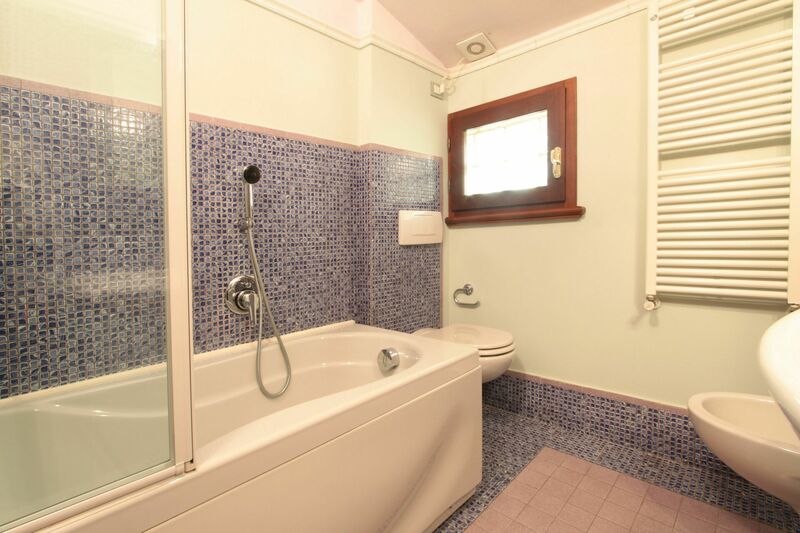 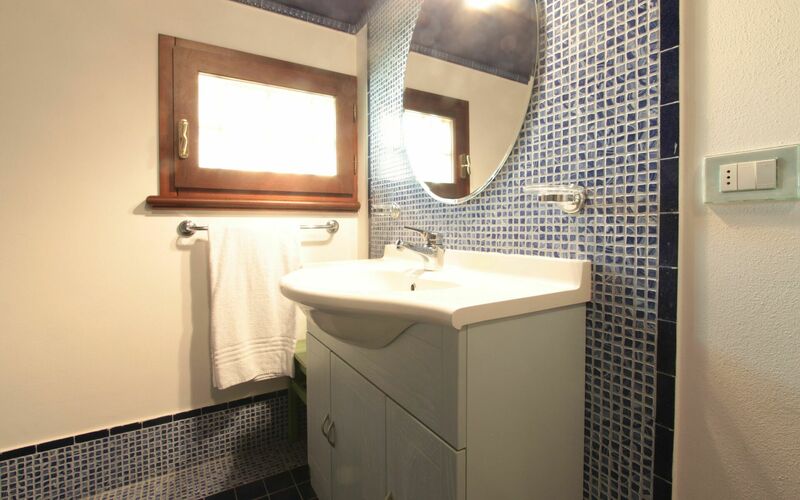 Bathroom 1 (5 m2): basin, toilet, bidet, bathtub, hairdryer, WIFI internet. 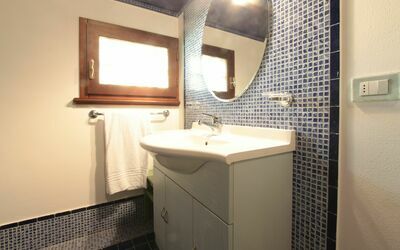 Bathroom 2 (4 m2): basin, toilet, shower, hairdryer, WIFI internet. Living room (24 m2): sofa (people: 3), sofa bed double (width: 1.6m, length: 1.9m), WIFI internet, television. 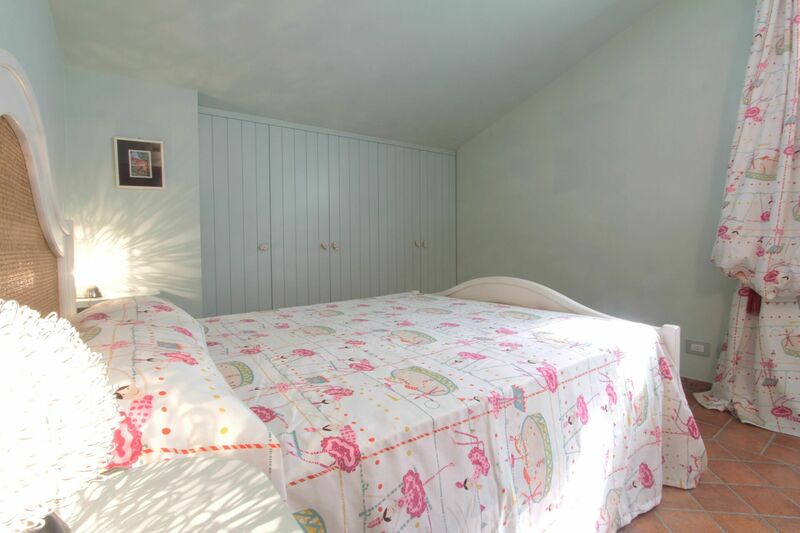 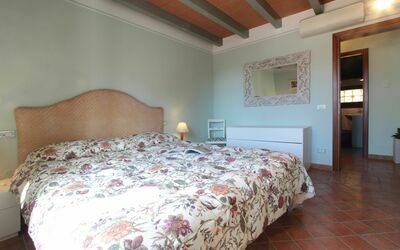 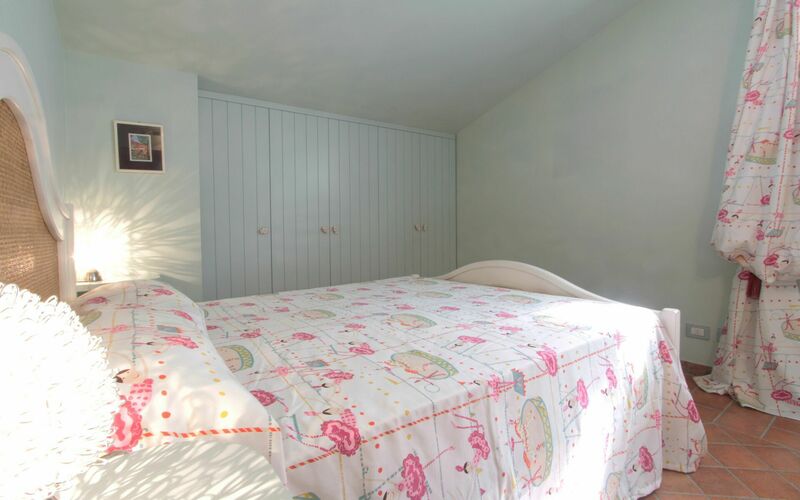 Bedroom (10 m2): two single beds (width: 80m, length: 1.9m), WIFI internet, air conditioning. 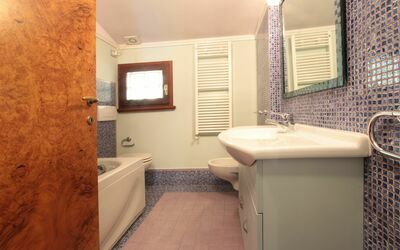 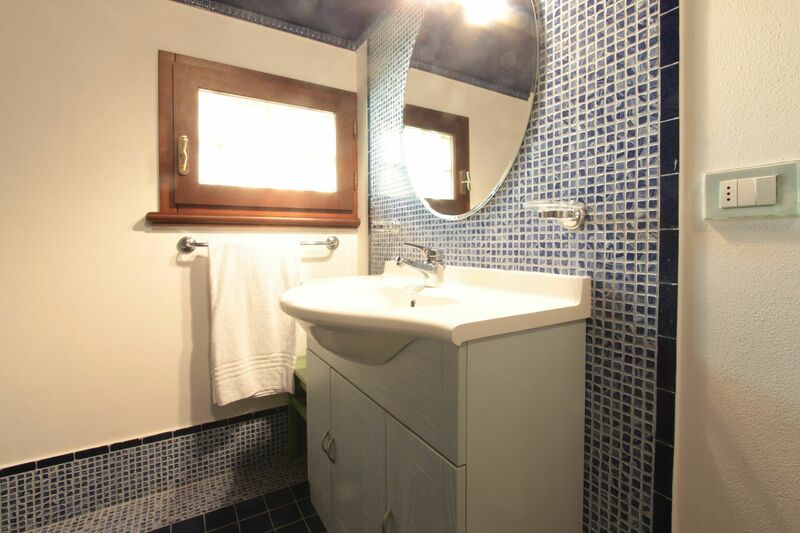 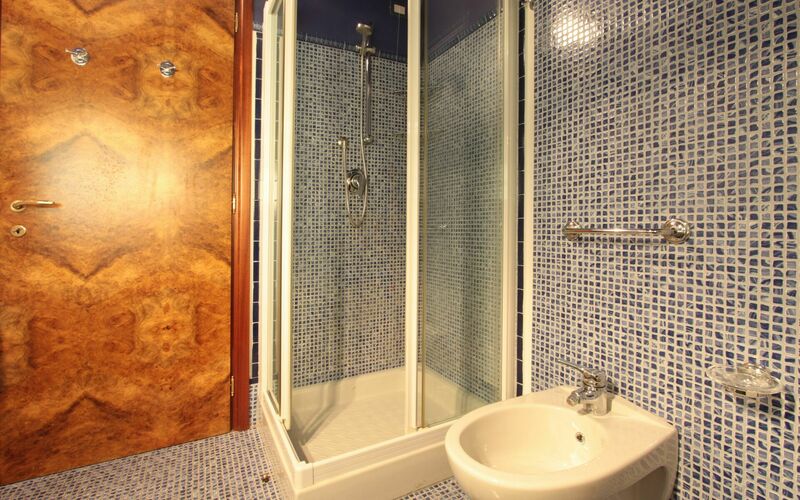 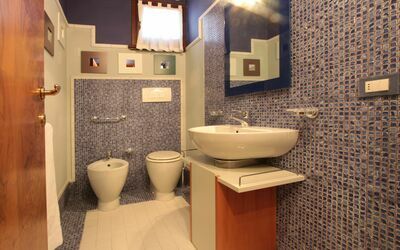 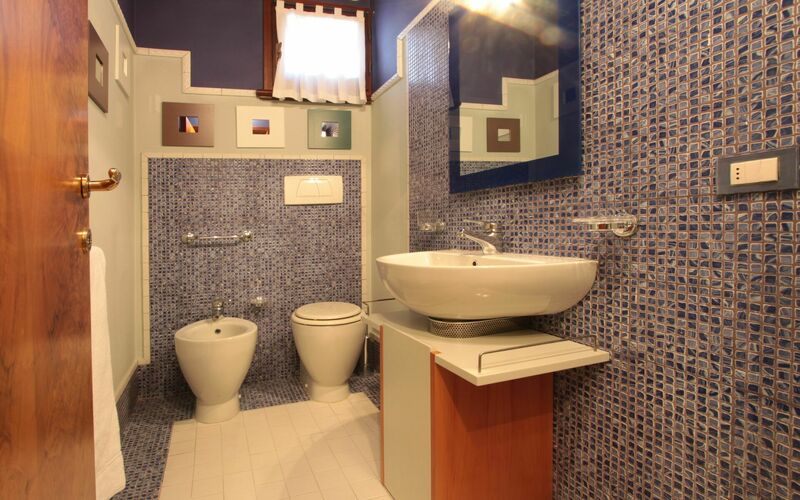 Bathroom (5 m2): basin, toilet, bidet, shower, WIFI internet. 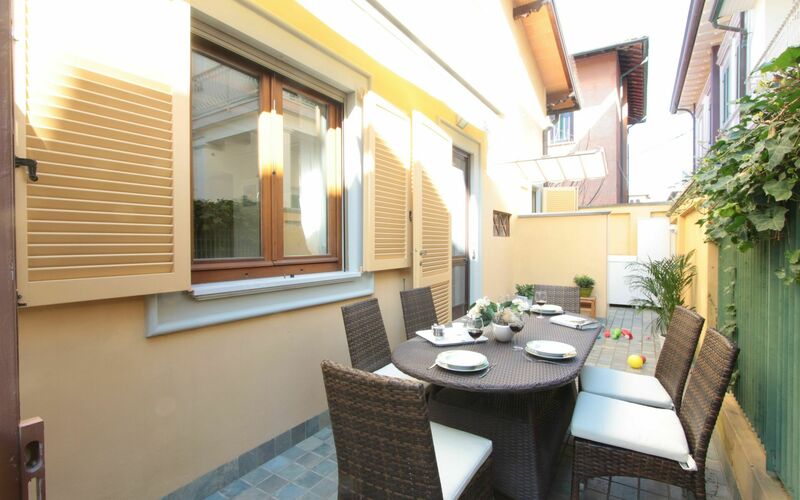 Patio: al fresco dining, dining table (people: 8). Available to all guests: 2 gardens.